How to Get Rid of a Cold Sore Scab (& Reduce the Healing Time)! Medically reviewed by Ahmad Alsayes (MD) on August 22, 2018. Written by Linda White (MD). Does a Cold Sore Scab Go Away on Its Own? Cold sores can be embarrassing at any stage. They can start out looking like a small red mark, and turn into an oozing, unsightly blister. For most people, however, the scabbing stage of a blister is the worst. Not only does it make the area crust over and look dried out, but it can be the most painful. So, are there any practical ways to get rid of a cold sore scab? What’s important to keep in mind is that the scabbing stage of a cold sore is a good sign of healing. Every stage of a blister has a purpose to its short lifespan. The scabbing stage protects it from being infected) secondary infection, so do not remove a cold sore scab early A cold sore will heal from the inside out. So, having that protective layer on top can make sure it heals properly. Still, it doesn’t feel or look pleasant to have a crusty scab on your lip, or anywhere around your mouth. It can draw immediate attention to the sore, and cause embarrassment. That’s why you may prefer to cover up a scab with a Compeed patch. One of the worst parts about a scab around the mouth is that it’s very tempting to pick or scratch at it. It may even be in such a spot that makes it difficult not to ‘crack’ when you eat, talk, etc. All of these factors can make the blister worse, and create a longer healing time. Thankfully, there are several ways to help soften and minimize the appearance of a scab. This article will explain how to soften a cold sore scab. Again, you should never pick at a scab to get it off. This can create bleeding and more significant problems. However, when a scab can drop off on its own, you can still get the healing benefits, without the unsightly, crusty mass on your skin. 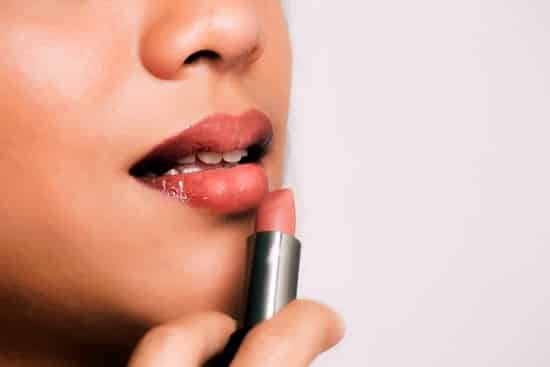 If you’re prone to cold sores and you’re tired of embarrassing scabs drawing attention to your mouth, use these steps to reduce the healing time. If you have a cold sore scab, make sure to keep it clean to reduce the risk of spreading the virus. While the herpes simplex virus is never 100% preventable, there are some precautions you can take with a blister to keep yourself and others safer. Avoid touching the scab. If you are washing it or applying a topical treatment, you should wash your hands before touching anything else. Scabs can become very itchy, and it’s tempting to scratch at them. Unfortunately, that can cause the scab to fall off prematurely. If you scratch anywhere around the scab, it can also spread the infection by getting it on your hands. Keep the affected area as clean as possible. Don’t wash the scab along with the rest of your face. It should be washed separately, preferably with antibacterial soap. Be very gentle with the sore, so it doesn’t get picked off in the process. If you use any cloths or towels to wash/dry the area, don’t use them again until they have been washed. Wash your hands throughout the day. We often touch our faces without even realizing it. If you touch anywhere near the area, you could be allowing it to spread from your hands, to other areas of your body, or to other people. The crusting stage of a blister can make it dry, and cause it to crack easily. As stated above, if a scab gets picked off or cracks open, it can cause bigger problems. Not only can it start to bleed, but also it can be painful. If it does break open, it can increase the time it takes for the blister to heal as well, since it will need to go through that particular stage again. Keeping the blister and the surrounding area moisturized is key to making sure the scab doesn’t crack or split open. One of the best ways to do this safely is with petroleum jelly, like Vaseline. Many over-the-counter topical treatments also contain moisturizing ingredients. Because cold sores are so common, many topical treatment solutions have been developed. You can apply most of them at any stage of a blister, but they can help to soften a scab and ease the pain that comes with it. One of the most popular cold sore treatment solutions is Abreva cream. This works by penetrating deep into the blister itself. It reaches the source of the virus and keeps it from spreading. From there, it will block the virus, allowing healthy skin cells to do their work and begin healing the blister. When you use it early enough, it can speed up the healing time of a blister significantly, allowing it to close up in as little as two or three days. 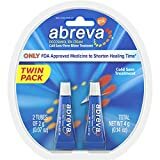 However, when you use Abreva or any other topical solution during the scabbing stage, it is mostly to provide pain relief and speed up the healing process at that stage. Another great product that will keep infection away from your scab and keep it from cracking is Zilactin. Products like Zilactin form a barrier over the blister. It allows the medication to stick to it and make it harder to penetrate the skin. A cold sore patch can also be useful in adding moisture and protecting the scab from outside elements. Because the crusting stage of a cold sore can cause itching and irritation, you will find that numbing it is the best option. Solutions like Orajel treatment can help to provide a numbing sensation around the blister. This will keep away the urge to itch, and take away the pain. The fewer opportunities you have to touch the crusted blister, the faster it can heal on its own. When a scab remains undisturbed, it can run its full course at a quicker pace. The best way to avoid the discomfort and embarrassment of an inflamed cold sore scab is to identify the problem early. Many over-the-counter cold sore treatments are specifically designed to help heal the blister at the first lingering symptoms. These include things like tingling and itching around the affected area. When you use a good treatment early enough, it can lessen the severity of the blister, and speed up the healing time. It may still ooze and scab, but it is less likely to be as painful, and the scab won’t be as large or inflamed. Some people seem to be more prone to cold sores than others. However, if you have the herpes simplex virus in you, you are never immune. More than half of Americans already have the virus living dormant in their bodies, so it doesn’t take much for a flare-up to occur. These preventative measures won’t keep cold sores away altogether, but they can help to protect you and reduce the severity of the sore (and the scab). You can also reduce the likelihood of getting a cold sore by avoiding the spread from other people. Never kiss someone who has a blister. You should also avoid sharing things like food or drinks, utensils, towels, toothbrushes, etc. Throwing away your toothbrush and getting a new one after you’ve had an outbreak is also necessary. The herpes virus can linger on objects for a while, so it’s easy to catch it from something or some tool another person has used. Being aware of who in your life has a cold sore at any given time is essential to prevent getting one yourself. The lifespan of a cold sore can last anywhere from several days to a couple of weeks, depending on how it’s treated. Even with no treatment, however, a cold sore will eventually go away on its own. Through that process, it has to go through the crusting or scabbing stage. Again, this is part of the healing process. A scab protects the sore from spreading, while healing is happening underneath the skin. Therefore, while it may be difficult to look at, and may cause pain, it’s one of the most helpful parts of the fever blister healing process. Will a scab go away on its own? Yes, eventually it will either fall off or become smaller until the blister is completely gone. However, using some of the tips listed in this article can make the entire experience much more manageable. By keeping the scab soft and moisturized, it will be less painful. It’s also likely to fall off on its own much faster. It may not be possible to avoid getting a cold sore outbreak, but knowing what you can do to speed up the healing process and avoid pain at the most severe stages makes them more manageable. Take a look at the best treatments for cold sores and recover in as little as three days. Cold sores. Mayo Clinic Web site. www.mayoclinic.com/health/cold-sore/DS00358/DSECTION=3. Sacks SL. Clinical efficacy of topical docosanol 10% cream for herpes simplex labialis: A multicenter, randomized, placebo-controlled trial. J Am Acad Dermatol. 2001 Aug;45(2):222-30. Marcinak M. Oral pain and discomfort. In: Berardi R, Newton G, McDermott JH, et al. Handbook of Nonprescription Drugs. 16th ed. Washington, DC: American Pharmacists Association; 2009:616-619. Feily, Amir and Mohammad Reza Namazi. 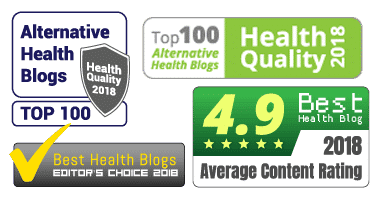 “Aloe vera in dermatology: a brief review.” Giornale italiano di dermatologia e venereologia : organo ufficiale, Societa italiana di dermatologia e sifilografia 144 1 (2009): 85-91. Rezazadeh F. Assessment of Anti HSV-1 Activity of Aloe Vera Gel Extract: an In Vitro Study. J Dent (Shiraz). 2016 Mar;17(1):49-54.